Germany is a key venue for international trade fairs. So it is no surprise that trade fairs are tempting targets for counterfeiters and infringers. Right owners must rely on quick and effective relief if they want to avoid an impairment of their rights. However, they should be aware of the peculiarities of German law in respect to the different types of infringements, as illustrated by a recently published decision of the German Federal Supreme Court (judgment of 23 February 2017, Case I ZR 92/16). 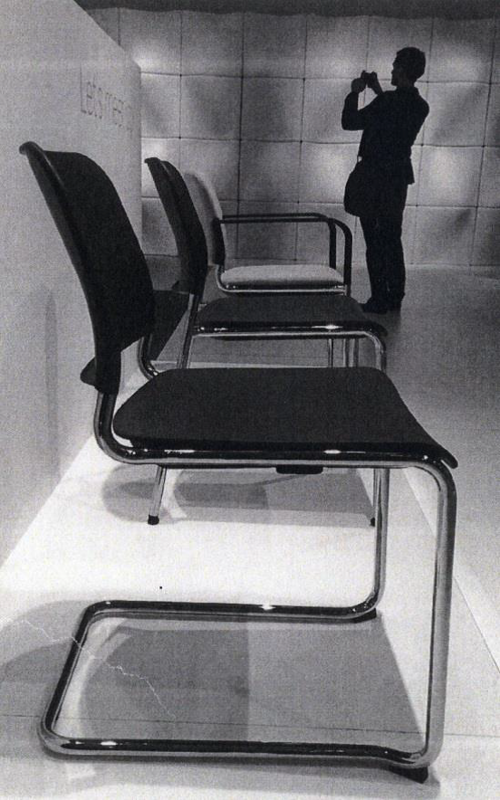 The plaintiff, who owns an exclusive license in respect to the copyright for a steel tubular frame chair designed by Mart Stam (see left picture), brought a claim under copyright law against the defendant, who exhibited similar chairs at an international trade fair in Cologne/Germany (see the two photos on the right side). At its fair exhibition, the defendant emphasized that the exhibited chairs were only a “prototype” model, and that these products were not for sale at that time. The defendant’s advertising material also indicated that there could be changes to the final design of the prototype model before launching. 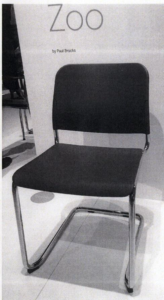 The appeal court decided that the plaintiff’s copyright for the chair was infringed by distributing the competitor’s chair and by making it available to the public (Sec. 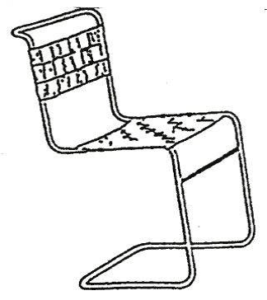 17(1), 19a German Copyright Act), but only in respect of the defendant’s advertising material that depicted the defendant’s chairs. There was no copyright infringement by the mere exhibition of the chairs without the advertising material, because the particular circumstances of the case indicated that the defendant’s chairs had not been ready for sale at that time. The Federal Supreme Court confirmed the appeal court’s decision referring to case law whereby the exhibition of a product at an international trade fair does not necessarily constitute an infringing act. One good example for this sophisticated approach is the trade mark decision “Pralinenform II” concerning round Ferrero Rocher chocolates (judgment of 22 April 2010, I ZR 17/05). The chocolate shape had been registered as a trademark. At the International Sweet and Biscuit Fair in Cologne, the defendant exhibited similar chocolates. It was found that the product presentation constituted advertising of the chocolates, against which the rights holder in principle was able to take action (Sec. 14(3) no. 5 German Trade Mark Act). However, there was no presumption that the defendant had actually offered (i.e., sold) the chocolates or put them on the market at the trade fair and therefore these claims failed. The reason for the court’s restrictive approach is the international appeal of German trade fairs. The mere presentation of a product at an international trade fair does not necessarily imply a domestic effect, if the exhibitor’s activities are limited to foreign markets. Otherwise, an IP-right with protection for Germany could be used to prevent the sale of goods beyond the German borders. In this respect, trademark law still provides a powerful weapon, as the advertising of a product constitutes a trade mark infringement, even without the intention to offer (sell) it in Germany. The situation is different under patent law, as the mere advertising, without offering the product, is in principle no patent infringement. If the exhibitor makes clear by obvious notices at his sales or exhibition booth that the product is not for sale and not even aimed to be put on the German market, the presentation of the product can be lawful. In many cases the right owner still might have a reasonable chance to win against the competitor, by gathering appropriate evidence before and during the trade fair (e. g. conducting sample purchases and collecting advertising material) to show that the exhibitor’s actions have a domestic effect. Accordingly, in the case of the chairs, the plaintiff in fact achieved his main goal, since the defendant was enjoined from distributing the advertising material showing the chair. This restriction hit the defendant hard, because without being able to present advertising material the exhibitor cannot promote his product accurately and may even be inclined not to show the product at all.